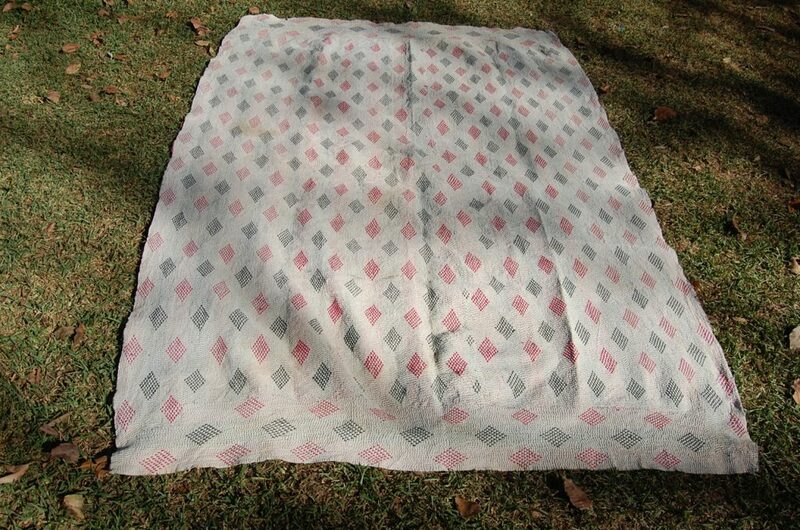 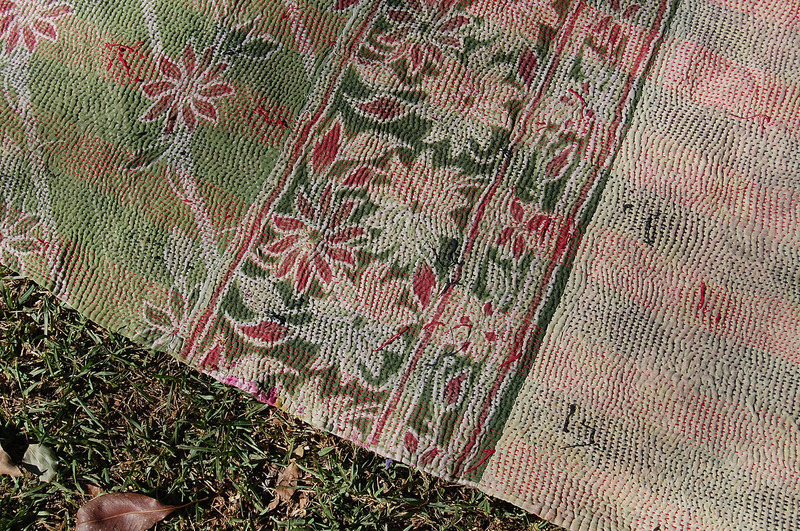 This beautiful kantha floral quilt cover is ideal for rustic queen bedding. 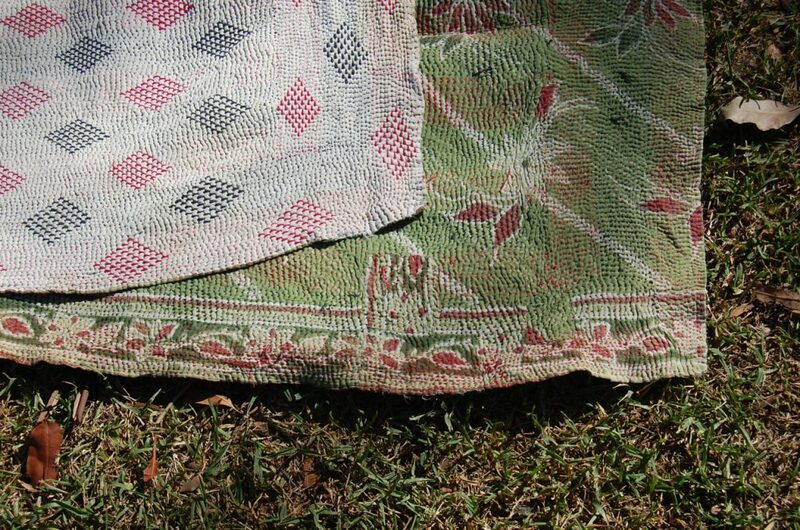 The gentle olive hues and vintage print, along with diamond Indian embroidery design makes a wonderful piece – in its tactile glory and handmade vintage aesthetic. 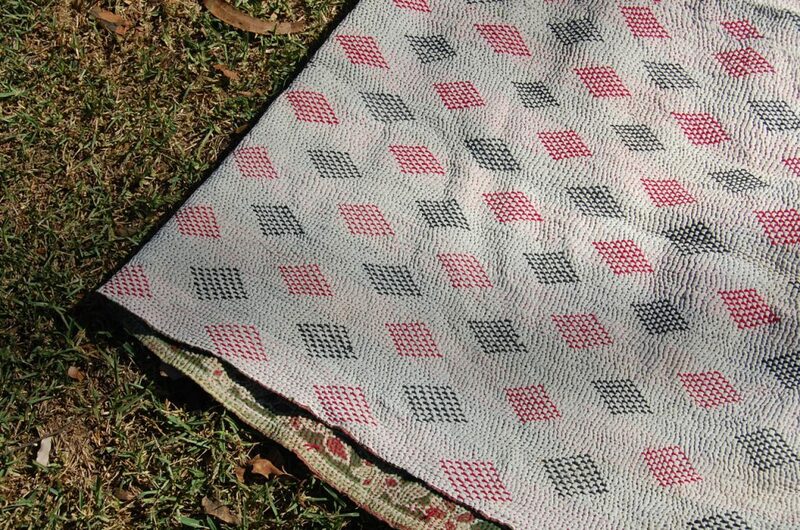 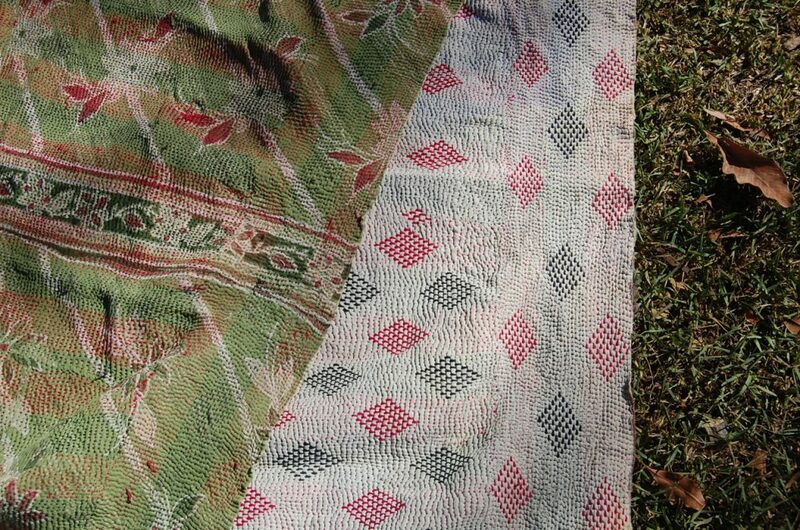 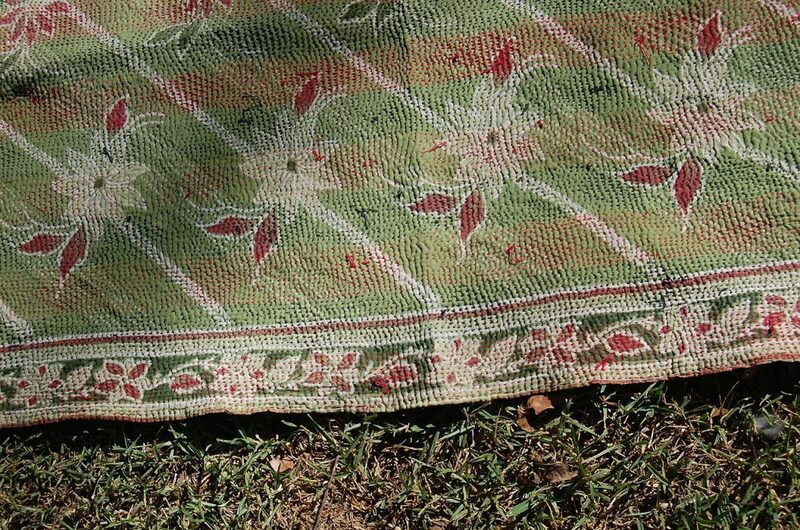 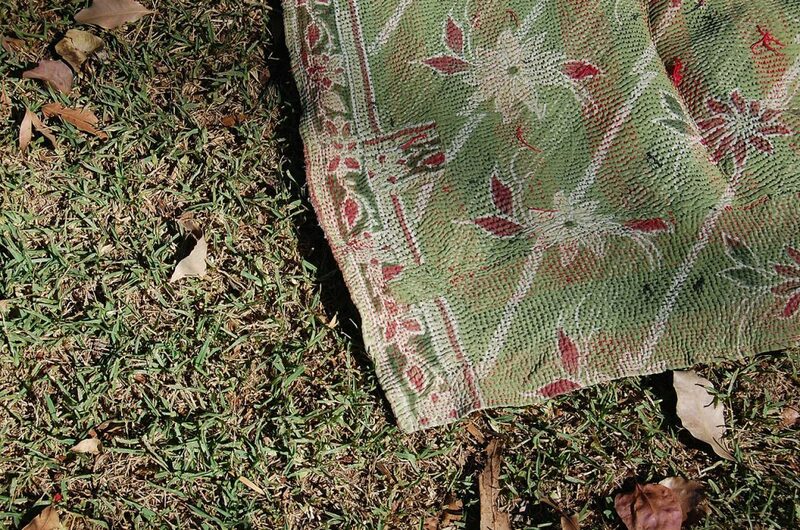 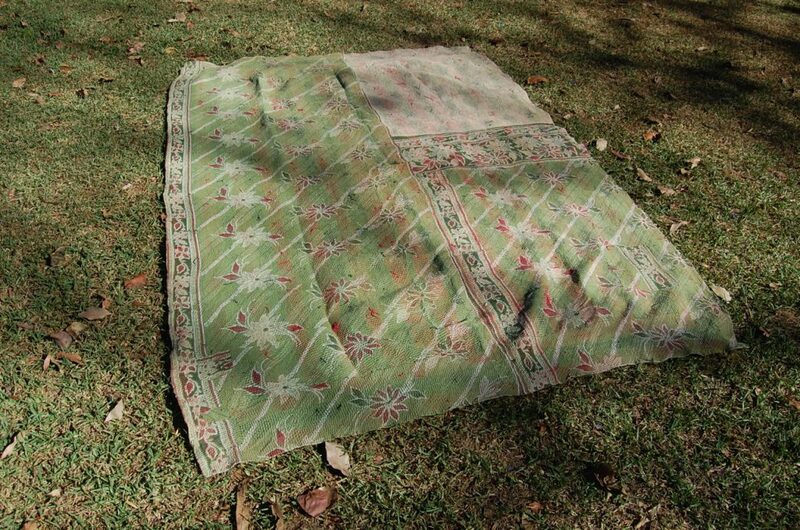 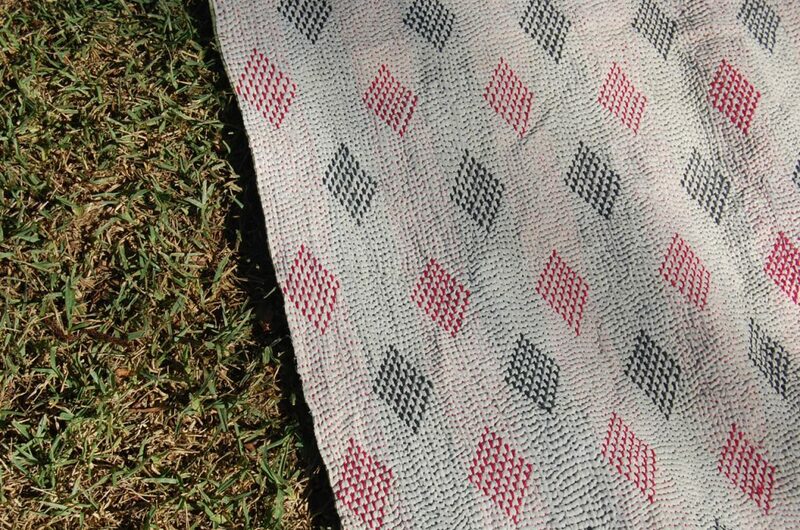 Meadow is a heavier-weight kantha, which will serve many years as a warm bed throw or otherwise can used in outdoor settings.